Tyler joined Watsi on December 9th, 2014. Four years ago, Tyler became the 846th member to automatically support a new Watsi patient every month. Since then, 4,240 more people have become monthly donors! Tyler's most recent donation traveled 9,000 miles to support M'bachundu, a man from Malawi, to fund prostate surgery. Tyler has funded healthcare for 46 patients in 10 countries. M'bachundu is a farmer with a wife and grown children from Malawi. He does a lot of farming, growing tobacco on his farm. He enjoys sitting and relaxing in his free time. Since February, M'bachundu has been experiencing urinary issues. These symptoms are caused by an enlarged prostate, a condition called benign prostatic hyperplasia. He needs to undergo a prostate resection surgery, a procedure in which surgeons will remove part of the enlarged gland. Our medical partner, World Altering Medicine, is requesting $733 to fund M'bachundu's surgery. On March 21, he will undergo prostate surgery at Nkhoma Hospital, our medical partner's care center. The requested money pays for supplies, medications, and two weeks of hospital stay. He is ready for surgery and confident that it will help him. He says, "This program is helping me very much so that I can return to good health and stay on the frontlines of my work as a farmer." Kheng is a rice farmer from Cambodia. She has four sons and three daughters. She likes to spend time at home and cook in her free time. Four years ago, she was in a motor vehicle accident and developed hip pain on her right side. She cannot walk and was diagnosed with avascular necrosis, which is death of bone tissue due to lack of blood supply. Fortunately, Kheng learned about our medical partner, Children's Surgical Centre. 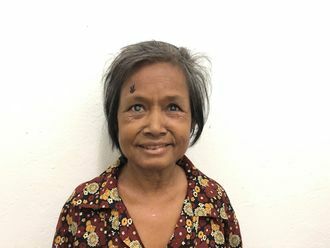 At CSC, surgeons can perform a total hip replacement to relieve Kheng of her pain and allow her to walk easily. 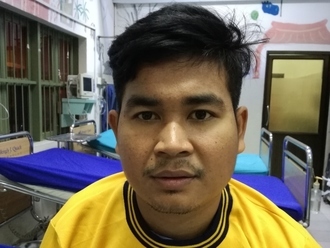 Treatment is scheduled for November 9, and Kheng needs help raising $1,025 to pay for this procedure. 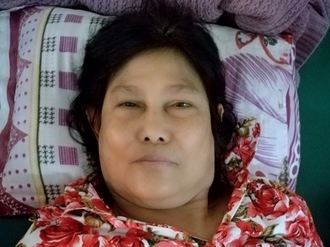 She says, "After surgery, I hope I can walk and return to work to support my family." Richard is a laborer from Kenya. He is married and a father of two children. One day in June, as Richard was going home from work, he was hit by a vehicle and sustained an open fracture of his right tibia bone. He is not able to walk and uses a wheelchair to move. Fortunately, surgeons at our medical partner can help. On July 12, Richard will undergo a fracture repair procedure, called an open reduction and internal fixation. This procedure will help him walk easily again and go back to work once he is fully recovered. Now, our medical partner, African Mission Healthcare Foundation, is requesting $998 to fund this procedure. “I have a lot of pain and am afraid to delay the surgery. My family is still very young and require my support. 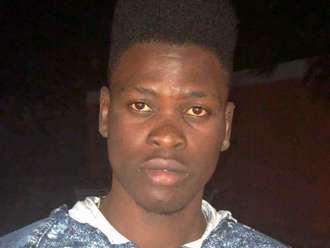 Kindly help me so that I can be well again to earn for my family," he says.